The NBA finals are coming up, and you may be able to get Doritos Locos Taco FREEBIES! 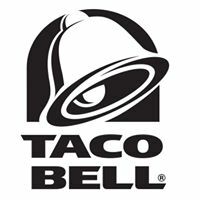 If a road team snags a win during the NBA finals, you get a FREE Taco Bell Doritos Locos Tacos! If game 1 through 3 is stolen, you get your Doritos Locos Taco FOR FREE. The giveaway takes place on Tuesday, June 13 between 2:00 PM and 6:00 PM. You get your FREE Doritos Taco on Tuesday if game 4 through 7 is stolen. This one takes place on June 20 between 2:00 PM and 6:00 PM. Please note, this Taco Bell Doritos Locos taco offer is limited to one FREE taco per customer!